Beardslee is pleased to represent Baldor-Reliance motors. 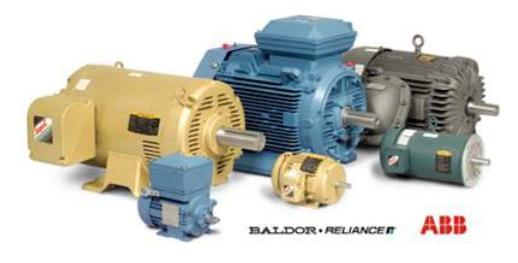 This manufacturer offers the broadest range of industrial AC and DC electric motors to value-minded customers ranging from 1/50th through 15,000 horsepower. They also supply and support the entire line of ABB IEC motors and medium voltage motors up to 100,000 horsepower. They also offer broad lines of brake-motors, explosion-proof, C-face, pump-motors and gear-motors to provide solutions for any purpose or environment.